Since smoothies are a thing of yesterday, it's time to embrace it's cousin (if you already haven't), Juicing. I've been doing it for years, it's messy but oh so worth it. From Kale to Ginger, it's great to create when you're in need of a little pick me up or to detox from a crazy week(end). 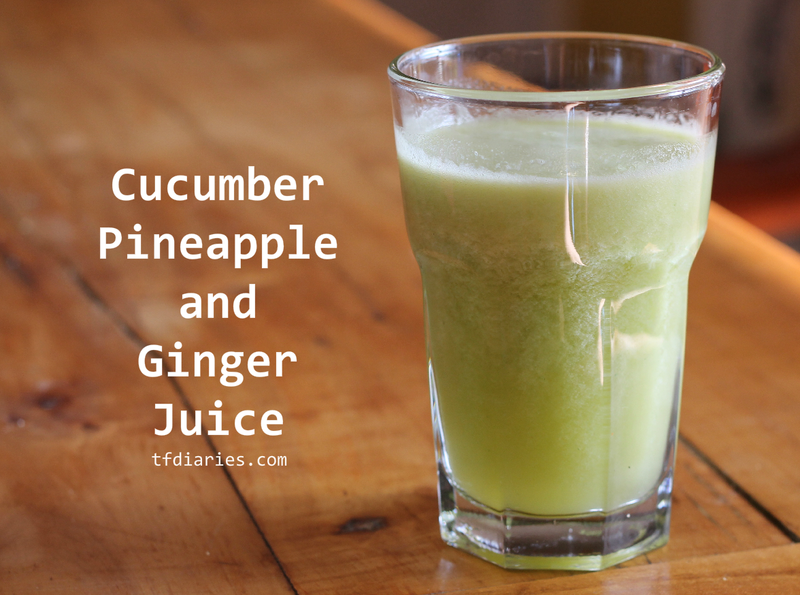 One of my personal favorites is Pineapple, Cucumber and Ginger, it's soothing yet gives your body that pick me up you need in the morning instead of going for a cup of joe. Don't have a juicer, check out Marshall's or Target for more budget friendly versions to get your started. And if you're not big on green juices, this is the best place to start, you'll love it. Note: I only used a thumb sized amount of ginger.